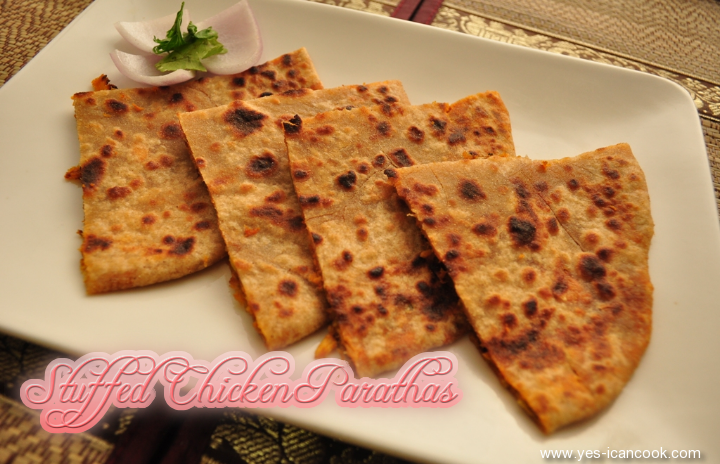 Stuffed Parathas are a favorite. Both I and my husband love them. We eat stuffed parathas for dinner and sometimes pack them for lunch the following day. Just half a minute in the microwave and they are as good as freshly prepared ones. 1. Wash the chicken pieces and drain all the water. Keep aside. 2. In a cooking vessel add butter and oil. Oil is added to stop the butter from burning. 3. Add onions and fry till they turn translucent. 4. Add chicken pieces and fry for a minute. 5. Add capsicum and the green peas and fry for a minute. 6. Add ginger garlic paste and fry for a minute. 7. Add salt, chilli powder, red chilli powder, tandoori masala and mix well. 8. Add yogurt and continue to cook. 9. Add the tomato puree or paste and continue to cook. 10. After 5 minutes add sugar. 11. Add a little bit of water if needed to cook the chicken. 12. The stuffing has to be a dry mixture so make sure there is no residual water. 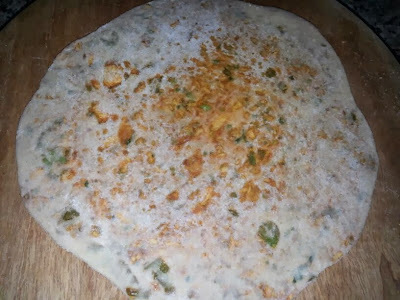 Otherwise water will ooze out of the paratha. 13. Add coriander leaves and lemon juice. 14. Keep it aside to cool down completely. 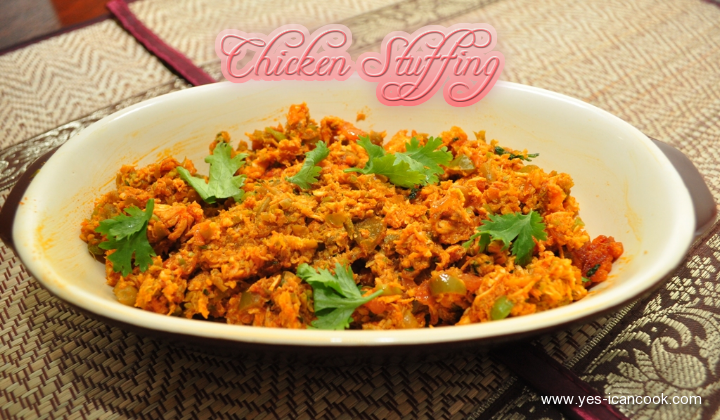 This stuffing can be used as a side dish or as an accompaniment. 15. In a mixing bowl add sifted wheat flour and salt. 16. Add water little by little and knead to a soft but stiff dough. 17. Knead well for about 5 minutes and keep it aside for 30 minutes. 18. 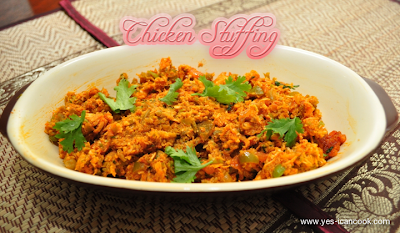 The stuffing needs to chopped or mashed completely. I used an electric chopper. 19. 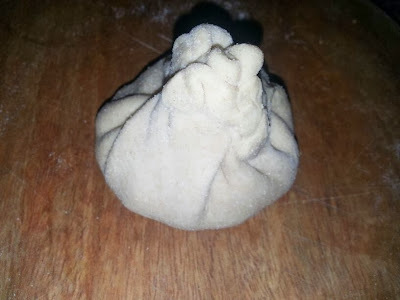 Divide the dough into 4 equal portions. 20. Divide the stuffing into 4 equal portions. The stuffing portion should be of the same size of the dough portion. 21. 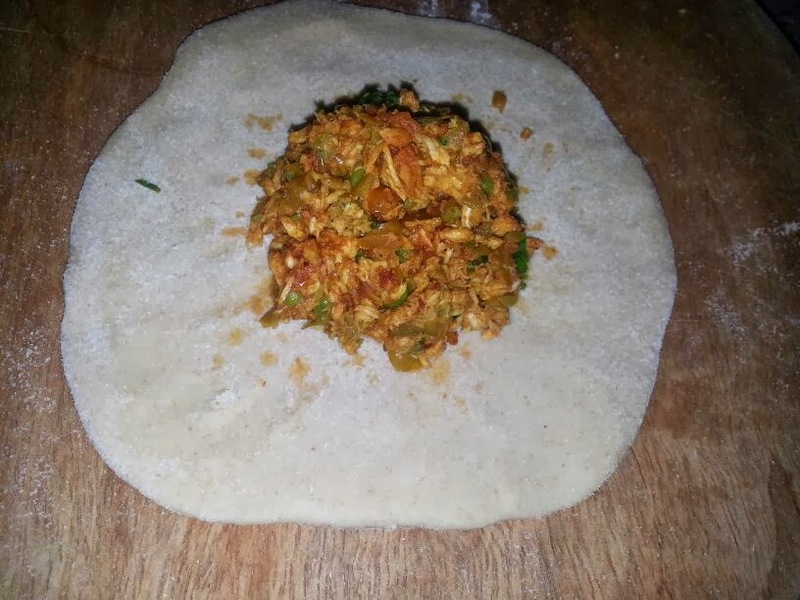 Take one portion of the dough and roll it to a small disc by dusting some wheat flour making it thinner at the edges than at the centre. 22. 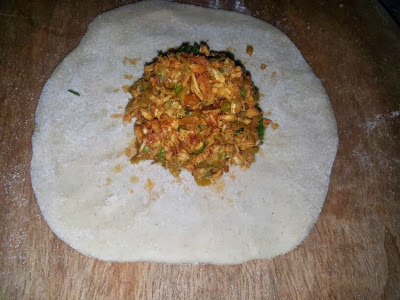 Place the chicken stuffing in the centre of the disc and start gathering the edges to seal completely. 23. Ensure that there is no trapped air inside and flatten the dough. 24. Roll it to a disc by dusting wheat flour. Do not roll it too thin. 25. Heat a tawa and place the paratha on the hot tawa. 26. When it is cooked with light brown spots flip it to the other side. 27. 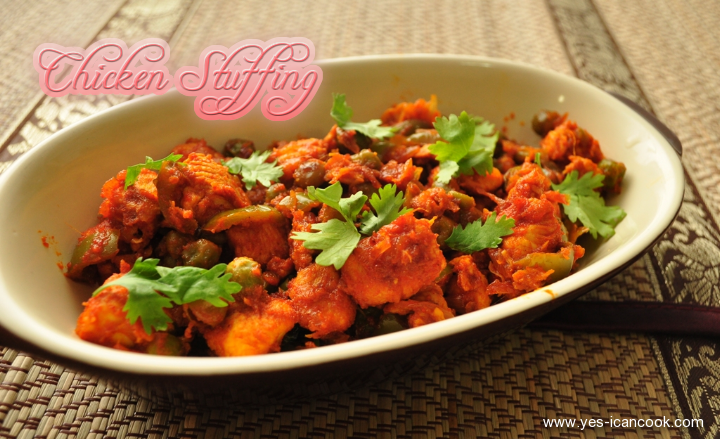 While the second side is cooking, apply ghee or oil on the first side and flip it again. 28. Apply oil or ghee and keep flipping till both the sides are well cooked. 29. Prepare the remaining parathas in the same way. 30. 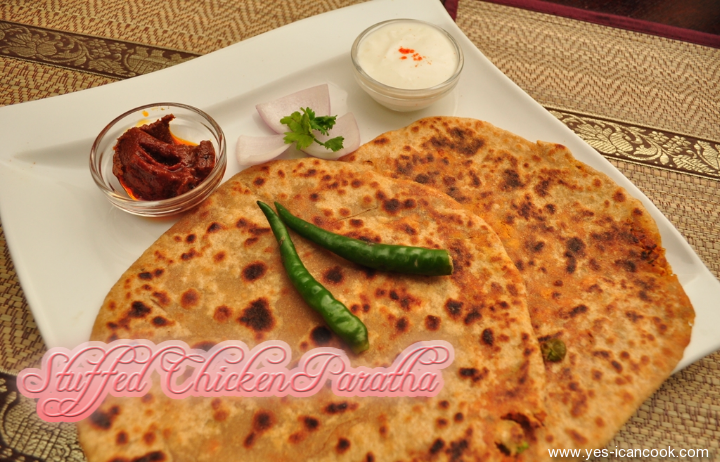 Prepare the yogurt by adding some salt and chilli powder and beating the yogurt without any lumps. Thanks Shweet Spicess. Let me know how you liked it if and when you try. Thanks Resna. Let me know how you liked it if and when you try it. 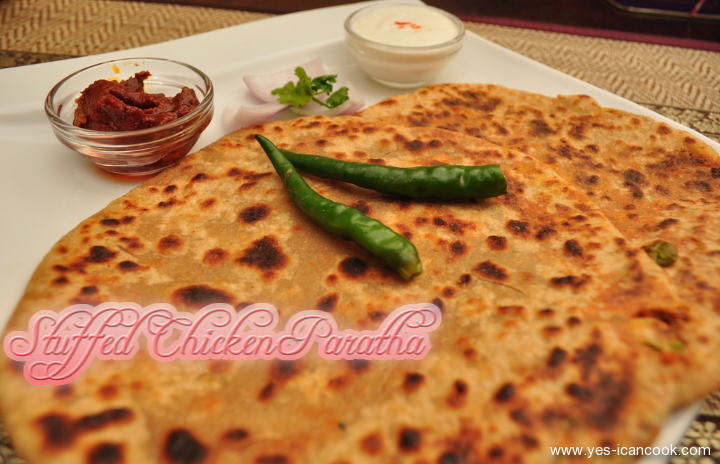 Paratha looks super yummy and tempting. The recipe is very simple n easy to follow. will surely try it at home. keep giving us more yummy recipes . Thanks Banu Valendra. 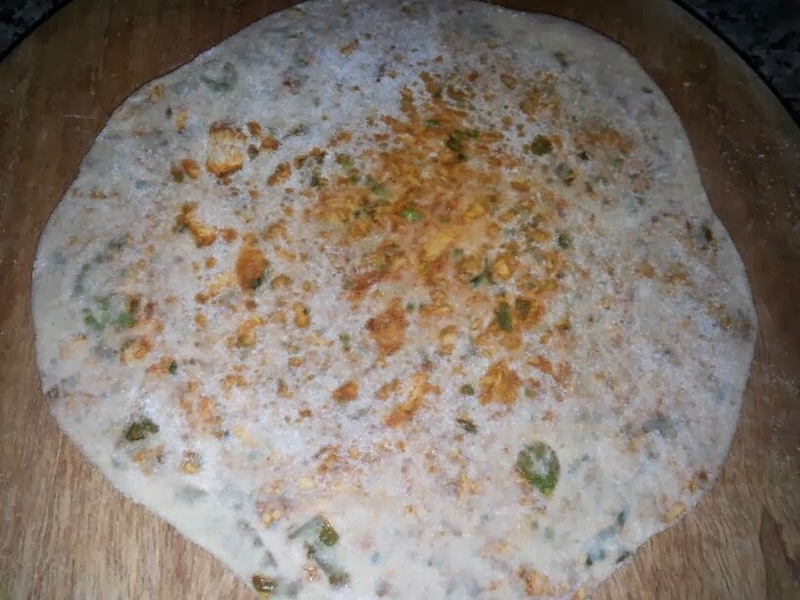 Please post feedback after trying the recipe. 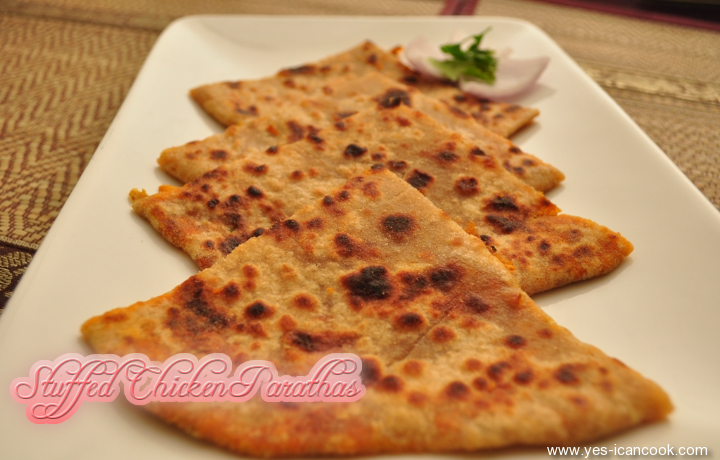 I have other stuffed paratha recipes that you may be interested in.